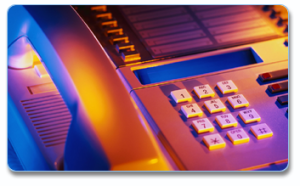 Telecommunications – Monarch Telecom Corp.
Monarch is an independent dealer in Avaya and Nortel equipment. As an independent dealer, Monarch can provide your company with used or unused equipment. From the small key systems Avaya Partner or Nortel Norstar (for offices under 100 people) to the large PBX’s Avaya Deffinity or Nortel Option series (for offices with 100 to 5000 people), Monarch Telecom is able to supply all of your hardware needs. Monarch can install, service, or maintain any Avaya or Nortel site. We have an experienced staff of trained professionals to handle any job, small or large. Not only can we sell and install the hardware, we can also provide service and maintenance contracts for those on corporate budgets. For those who already have an Avaya or Nortel system installed, Monarch Telecom can repair any equipment that fails. Our in-house repair staff can usually have your defective equipment repaired within one week. If you have equipment that works but through use and circumstances needs a face life, Monarch can provide refurbishing for most phones.